The stop-motion, painted-frame animations of Poland's Witold Giersz are eye-opening, as I'm sure you'll agree when you view the artist's stunning, impressionistic Kon (Horse), made in 1967. Witold Giersz : Kon from Carlos Jara on Vimeo. This film (and others) can be seen on YouTube and here at the National Audiovisual Institute's videotheque. See as many of Giersz's films as you can; they all are marvelous. Giersz was honored earlier this year at the Kinoteka Polish Film Festival in London. Don't miss this interview with the master filmmaker: "Wild horses: Witold Giersz and the art of animation" (British Film Institute, March 6, 2013). Giersz's most recent release, some four years in the making, is Signum; a 15-minute animated cave painting inspired by the art at Lascaux and Altamira, it debuted at Kinoteka. that fall's leaves always fill. have nothing to do with birds. utilizes some of my preacher's daughter fervor. 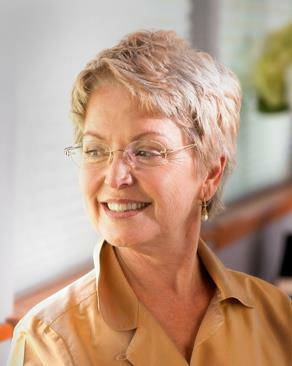 Recently appointed to a two-year office (2013-2015) by governor Bobby Jindal, Ava Leavell Haymon assumes the position of twelfth Poet Laureate of Louisiana. She takes over from Julie Kane (2011-2013), who succeeded Darrell Bourque (2009-2011). My post about Bourque includes information about the honorary position. A nationally recognized writer, Haymon, who has been called the "unofficial poet laureate of Baton Rouge", gives numerous poetry readings, judges poetry contests, conducts poetry workshops and seminars, and makes appearances at many conferences and literary festivals throughout the state. For some time, she has been involved in an Artists-in-the-Schools program in Baton Rouge, and Junior Great Books programs in a number of parishes. During her tenure as Poet Laureate, her only requirement is to deliver an annual public reading at a location designated by the Louisiana Endowment for the Humanities. According to information from the LEH, an inaugural public reading by Haymon is tentatively scheduled for October at the Louisiana Humanities Center in New Orleans. that, by the peculiar alchemy that is poetry, become larger. . . .
. . . [their] quality. . . their concerns are of the timeless variety. . . .
Baton Rouge resident Ava Leavell Haymon has published Why the House Is Made of Gingerbread (Louisiana State University Press, 2010), awarded in 2011 a Mississippi Arts and Letters Award for poetry and named in 2010 a "Top 10" book of poetry by Women's Voices for Change; Kitchen Heat (LSU Press, 2006), and The Strict Economy of Fire (LSU Press, 2004). Her fourth collection, Eldest Daughter (LSU Press), came out in August. She plans to publish a fifth collection, Choosing Monogamy, in 2015. Haymon also is the author of a number of chapbooks: How One Became Two (2004), Why the Groundhog Fears Her Shadow (March Street Press, 1998), Staving Off Rapture (Flume Press, 1994), Built in Fear of Heat (Nightshade, 1994), A Name Gift for Every Child (Mother Daybreak Press, 1991), and Strong in Broken Places: Poems After September 11, 2001 (2001). Some of the latter are available through resellers; several are in the collections of the State Library of Louisiana. In addition to writing poetry, Haymon is a playwright (at least a half-dozen of her plays have been produced), and she has collaborated with filmmakers, choreographers, composers and librettists (The Gretel Songs, set by Dr. Mary Carol Warwick), and other artists on creative projects. I write poetry because . . . I like to take the world in very tiny steps. where you have to take in more. The skillfully crafted poetry — admirers point to pacing, narrative element, use of enjambment, assonance and alliteration, intensity of diction, striking imagery — of Ava Leavell Haymon often addresses the subject of women's domestic lives: their love, marital, and family relationships; their needs and hungers (in all forms); their sources of nourishment; their very mundanity (those "small things" David Sewell notes that are so common to all our lives). The poems can be tender, humorous, ironic, or wry; often, they are incisive in their depictions of emotions (joy, happiness, frustration, anger, questioning). Some are no longer than three lines; others run a full page and more. Frequently they incorporate aspects of the natural world alongside myth and fable. I don't even wake up when you leave. in the Felicianas, to hunt wild turkey. Thermos, coffee breath, jokes in the truck. into the warm spot on your side. teeth marks from Kali's comb. to remind us they wake the sleeping gods. 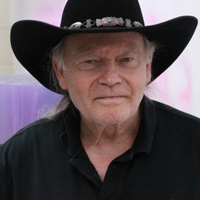 Published widely, Haymon's work can be found in Bellingham Review, Cimarron Review, Crab Orchard Review, Georgia Review, Hudson Review, Image Journal, Louisiana Literature Journal, The Louisville Review, New Orleans Review, Northwest Review, The Pedestal Magazine, Poetry, Prairie Schooner, Rhino, Rose & Thorn Journal, The Sun, The Southern Review, Town Creek Poetry, and Turn Row, among other national literary periodicals and magazines. Her work also has been anthologized in Vision/Verse 2009-2013: An Anthology of Poetry (Yellow Flag Press, 2013), Improbable Worlds: An Anthology of Texas and Louisiana Poets (Mutabilis Press, 2011), The Southern Poetry Anthology: Volume IV: Louisiana, and Landscape and Epiphany (Xavier Review Press, 2007), among other collections. In addition to the honors noted above, Haymon is the recipient of the L.E. Phillabaum Poetry Award (2010) and Louisiana Literature Poetry Prize (2003). She was one of 50 state honorees of the American Women Writers National Museum (May 2012). Director of a retreat center for writers and artists in New Mexico, Haymon has been a teacher of poetry-writing for more than three decades. 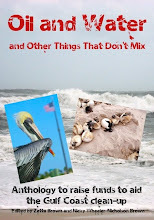 She also edits the Barataria Poetry Series (LSU Press), which will debut next spring. As today's Saturday Short shows, sometimes all you need is two words. See more of The MazeKing's art and word projects. My thanks to On Being, where I first learned about The MazeKing's "Happiness Here" project. ✦ Irene Belknap has made marvelous use of text in her paintings. See her beautiful series Dressed in Words; Belknap's The House of Belonging uses David Whyte's poetry, while her Two Poems uses poems from Pablo Neruda's Love, Ten Poems. Belknap also uses the words of Thomas Mann and Constantine Cavafy, among other writers. Limited-edition prints are available from Art Brokers. ✦ Seeking to rectify the under-representation in displays of artists who are women, Tate Britain this spring placed on view two oil sketches on paper, both of her son Bartholomew, one left- and one right-facing, by the United Kingdom's "first female professional painter": portraitist Mary Beale (1633-1699). View images of both sketches; read summary information. ✦ All of the journals of artist David Wojnarowicz (1954-1992) have been digitized by New York University's Fales Library and can be read online; see Guide to the David Wojnarowicz Papers. ✦ Tibor de Nagy Gallery's exhibition "Jane Freilicher: Painter Among Poets", which concluded in June, included a catalogue with an introduction by John Ashbery, more than 60 color images, scholarly text by Jenni Quilter, and poems and letters by Ashbery, Kenneth Koch, Frank O'Hara, and James Schuyler. Contact the gallery to purchase a copy. ✦ Utah-based conceptual artist Pam Bowman, who holds degrees in interior design and sculpture and installation, is a recent discovery for me. Her labor-intensive use of natural fibers and materials, as well as historical artifacts and a multitude of objects including brooms, bowls of dirt, seeds, and even text of poems, is deeply thoughtful and striking. One of her recent installations, Renascent, which she says "expresses feelings and memories about the circular loop of coping with adversity", is especially compelling. Her sculpture and paintings, in particular her Handwork series, leave me fascinated. Watch a video of Bowman's Ebb and Wax, a kinetic art installation at Art Access Gallery, Salt Lake City, Utah. ✭ Continuing through August 25 at The University of Chicago's Smart Museum of Art is "The Land Beneath Our Feet", an exhibition of approximately 80 paintings, sculptures, prints, drawings, and photographs from the period 1850-1940. Drawn from the museum's own collection of American art, the show includes work by William Merritt Chase, Arthur Dove, Walker Evans, Child Hassam, Winslow Homer, John Marin, Ben Shahn, and James McNeill Whistler, among others. Timothy O'Sullivan's and William Bell's panoramas of the American West are a highlight. ✭ Delaware Art Museum, in Wilmington, is presenting through September 15 "French Twist", an exhibition of 100 vintage prints by such masters as Eugene Atget, Brassai, Man Ray, Henri Cartier-Bresson, "Queen of the Leica" Ilse Bing, Jacques-Henri Lartigue, Andre Kertesz, and surrealist Dora Maar. All the images are from the collection of Michael Mattis and Judith Hochberg. The show, arranged thematically ("Eugene Atget", "Life of the Street", "Diversions", "Henri Cartier-Bresson", "The Lower Classes", "Paris by Night", "Art for Art's Sake", "Andre Kertesz, Dora Maar, Man Ray", "Portraits and Nudes"), will travel. ✭ Michigan's Grand Rapids Art Museum has mounted "The Improvisional Quilts of Susana Allen Hunter". Hunter, who died in 2005, age 93, hailed from Wilcox County, Alabama, home to the famous Gee's Bend quilters. From the scant materials available to her, such as empty grain sacks, worn clothing, and leftover fabric bits of various shapes and sizes, Hunter created hundreds of gorgeous and functional quilts, now in the Collections of the Henry Ford, Dearborn, Michigan. The exhibition continues through August 25. In an interpretative gallery for the exhibition, viewers can explore "Quilt of Sound", an interactive Website for creating improvisational artwork with sounds and images from nature. In addition, iPod stations have been set up to allow visitors to listen to and explore spirituals and improvisational jazz. ✭ August 10 marks the opening of "The Lorax" at Joslyn Art Museum, Omaha, Nebraska. The show will feature a selection of Dr. Seuss's preliminary crayon drawings and final pen-and-ink line art for his The Lorax, published in 1971, which Dr. Seuss considered his best work. Dr. Seuss donated the original artwork for his book to the Lyndon Baines Johnson Library and Museum, Austin, Texas. The latter exhibited the drawings in 2012, when the Lorax 3-D film was released. ✭ "Ice Lab: New Architecture and Science in Antarctica", a collaboration between the arts nonprofit British Council and The Arts Catalyst, curator of the show, opens in Glasgow, Scotland, today, July 26. It features architectural drawings, models, photographs, films, and a light-and-audio installation by Torsten Lauschmann of Glasgow. The commissioned exhibition, the first to look at designs for research stations in Antarctica, notable for its extreme cold, wind, and isolation, and highlighting the cutting-edge science initiatives undertaken there, continues to October 2 and then travels to Manchester Museum of Science & Industry, where it will run from October 21 to January 6, 2014. After that, it begins an international tour. In addition to film screenings, the exhibition includes talks and workshops in design, architecture, art, and science. You can view nine images at the exhibition link above. is about to happen or is in the middle of happening. . . .
Ford's the kind of artist I easily could imagine at my dinner table, regaling guests with his signature mix of darkly edged humor and awing them with his knowledge. His curiosity is his fuel. As he says so well and with passion in this Art21 video, he excavates melodrama, myth, even crudity to locate the "weirdness" and blackness of his subject matter. In distorting the otherwise beautiful, exaggerating with humor and an impulse toward the overwrought, he gets to "make rich dishes" that always satisfy because they keep us looking. His skill and talent are remarkable. Walton Ford - Bestiarium from ikono tv on Vimeo. 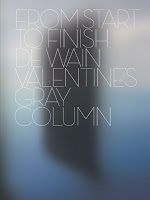 The documentary From Start to Finish: The Story of De Wain Valentine's 'Gray Column' is excellent (I was able to see the film in its entirety a week ago; below are several links to excerpts). Directed and produced by Commonwealth Projects for the Getty Conservation Institute as part of the marvelous Pacific Standard Time Initiative, the film traces the creation of the extraordinary sculpture Gray Column (1975-76), from its original conception and fabrication, through its conservation, to its installation and first-time display (from September 13, 2011, to March 11, 2012), at the J. Paul Getty Museum. Valentine and his studio assistants, as well as curators and conservators, scientists, and collectors help tell the story. 140" x 87-1/2" x 9-1/2"
The free-standing Gray Column is notable for its size — 12 feet high and 8 feet wide — and for the unconventional material — a polyester resin — from which it was cast. The resin was tinted with black pigment, accounting for the sculpture's color, which is not uniform (because the material's properties changed the higher the form went during casting). 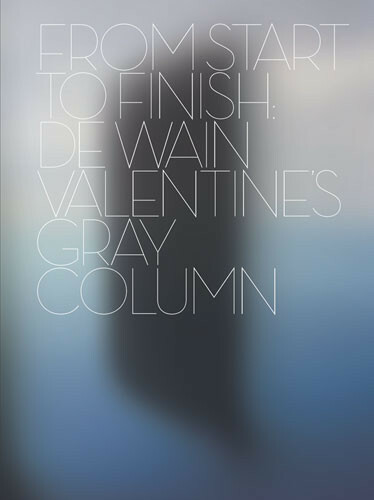 A hard-cover exhibition catalogue, From Start to Finish: De Wain Valentine's Gray Column (Getty Conservation Institute, 2011), published and offered in conjunction with the documentary and the sculpture's exhibition is available through The Getty Store. In addition to an essay, interview with the artist, and archival images, the publication includes a DVD copy of the film. You'll find online a wealth of material, including information about artistic styles, materials, and processes, on the PST Initiative. A region-wide collaboration spearheaded by the Getty, it involved more than five dozen cultural institutions throughout Southern California in a series of exhibitions, presented from October 2011 to April 2012, to celebrate the artists and the works they created in Los Angeles in the period 1945-1980. A second major initiative is planned for 2017; that effort will examine in depth the artistic connections between Los Angeles and Latin America. * Learner discussed the conservation effort in the Guardian article "De Wain Valentine's Gray Column Restored for Modern Art Show" (October 8, 2011). of numbers of potentially missing in space. 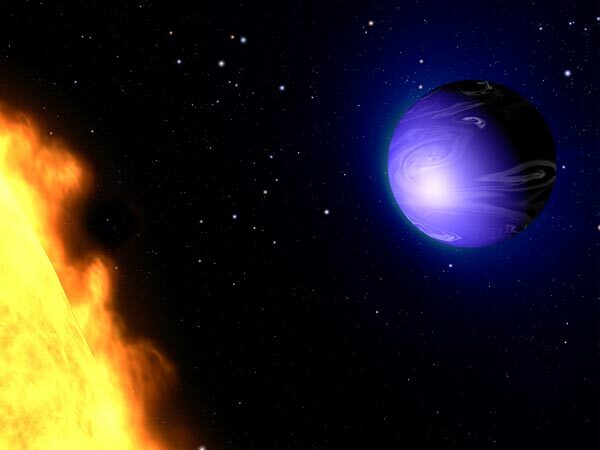 This "found" poem was inspired by the recent article "For the First Time, Astronomers Read Exoplanet's Color" in National Geographic, July 11, 2013. Also see the article "Hubble Spots Azure Blue Planet", ESA/Hubble, July 11, 2013.
between the world of words and the world of things. 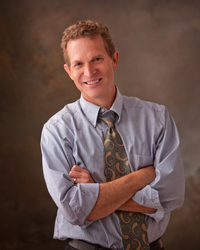 Utah's Poet Laureate is Lance Larsen, appointed in 2012 to a five-year term. The successor to Katherine Coles, Larsen is just one of four poets to have been awarded the unpaid position, which carries no official duties. In this 10:56-minute video, Larsen talks about Utah's laureate program, his background as a poet, and what he's thinking he might do as Poet Laureate. He also offers some well-considered advice for those who want to pursue a vocation in poetry. As the state's public advocate for the literary arts, Larsen, who claims an interest in spoken-word performance, expects to do a lot of traveling, doing readings and book signings and leading workshops. My profile of Coles includes background on the state laureate program and the selection process. Coles's "Bite Size Poems Project", to which Larsen has contributed, continues. Poetry gives us a second chance at life. Lance Larsen, Ph.D., who also writes nonfiction (essays) and memoir, has published four poetry collections: Genius Loci (University of Tampa Press, 2013), Backyard Alchemy (University of Tampa Press, 2009), winner of the 2009 Utah Book Award for Poetry; In All Their Animal Brilliance (University of Tampa Press, 2005), which was awarded the Tampa Review Prize for Poetry; and Erasable Walls (New Issues Press, 1998), meditations drawn from personal experience. The subjects of Larsen's work, which he describes as "traditional" poetry and which former state poet Katherine Coles has called "brainy", encompass love, family, community, connection, and sense of place (belonging versus standing apart), aging and mortality, loss, religion, growth and renewal, the natural world. They are at once familiar and universal, the stuff of the everyday. How Larsen treats them can seem, on a first or surface reading, simple, even mundane, but revisiting the poems, especially the longer, narrative work, reveals a keen eye for the observed, a searching for deeper meaning through sometimes startling metaphor and simile, and an appreciation for the transformative power of what is larger than oneself. He is drawn, he told one interviewer, to "the up-close, magnifying-glass-and-tweezer work that goes into a poem" but tries always to "step back and see what kind of larger argument a poem makes. "** I read in his latter statement an expressed willingness to remain open to experience, which can only serve his poetry well. where his father was born,. . . .
a fenced field at twilight under a towel of moon. with the swish of its tail. . . .
and found: Look inside: no straws to drink that dusk. like that, to be carried like time across lapping waves. Poems by Larsen have appeared in many literary periodicals, among them Agni, Black Warrior Review, Georgia Review, Green Mountains Review, Image Journal, The Paris Review, Poetry, Poetry Northwest, Ploughshares, Poetry Daily, Prairie Schooner, Quarterly West, River Styx, Southern Review, and Versedaily, and are in such anthologies as The Pushcart Prize Anthology, Best American Poetry, and American Poetry: The Next Generation (Carnegie Mellon Poetry Series, 2000). Larsen's collection of essays Seventeen Ways to Float was awarded first place in biography/autobiography in the 2011 Utah Original Writing Competition (an excerpt, "Tired" is here). His other honors include a Pushcart Prize and a 2007 National Endowment for the Arts fellowship in poetry, and awards from The Anderson Center, The Joseph Campbell Foundation, Sewanee and SouthWest Writers, and Association for Mormon Letters. Larsen is Associate Chair of the English Department at Brigham Young University, where he teaches literature and creative writing. Mixed media artist and painter Jacqui Larsen, the poet's wife, occasionally collaborates with her husband. Jacqui Larsen's work is used on the covers of Genius Loci, In All Their Animal Brilliance, and Backyard Alchemy. Within you lies all the courage you need. . . . I first became aware of Nancy Wood's poems, meditations, and fiction and nonfiction writing through artist Frank Howell (1937-1997), whose gallery I visited many years ago in Santa Fe, New Mexico, and whose paintings illustrate Dancing Moons (now out of print but available through resellers). I also have Woods's poetry collections Shaman's Circle (1996) and Spirit Walker (1993). I'm privileged to own some of Howell's art as well. Today's Saturday Short is all about doubt and, in particular, that silent letter "b". If you have any doubts after watching this, view the full lesson from educator Gina Cooke at TEDEd. ✦ The Museum of Modern Art has launched post, featuring text (essays, interviews, information about lectures, seminars, and group discussions, information about practices, resources), images, and videos about modern and contemporary art. Content is available by theme; some curated materials are shared by post's partners or drawn from MoMAs collection and archives. ✦ You'll find beautiful examples of printmaking at its finest on the Washington Printmakers Gallery page for Matina Marki Tillman, who showed work in May and June in the New York Society of Etchers 3rd National Exhibition of Intaglio Prints in New York City. ✦ I have long-admired the prints and drawings of Lesley Dill, who also is a sculptor, photographer, and performance artist who makes extraordinary use of her media, especially text. If you are unfamiliar with Dill's artwork, take some time to explore her Website. Be sure to watch her opera Divide Light (2008), based on Emily Dickinson's poetry (images). Your discoveries will be rewarding, I promise. ✦ Check out Paperblog for "media experiments that print can't handle." The words "creative risk" are part of its mission statement. ✭ Sculptor and urban planner Theaster Gates's installation 13th Ballad is on view through October 6 at the Museum of Contemporary Art Chicago. The work is an extension of Gates's 12 Ballads for Huguenot House (video) exhibited in 2012 at dOCUMENTA (13) in Kassel, Germany; Gates salvaged many of the materials he used from a home, Black Cinema House, remodeled in Chicago. The new work uses not only art objects and materials from historic Huguenot House but also repurposed pews; the pews had been removed from Bond Chapel at the University of Chicago to create space for Muslim students to pray. For more on the installation, see the exhibition page. Collaborative performances related to the artist's installation are scheduled for August 11 (Migration Stories) and September 2 (Church in Five Acts). The monograph 12 Ballads for Huguenot House, published by dOCUMENTA (13) and the museum, is available. ✭ Thirty abstract and realistic works by Jennifer Bartlett (b. 1941) are on view at Pennsylvania Academy of the Fine Arts through October 13. The 40-year survey, "Jennifer Barlett: History of the Universe — Works 1970-2011" include landscapes, seascapes, oils, and Bartlett's more recent "language-based" artworks with short stories and dialogues. Selections from Bartlett's series "House Paintings", "In the Garden", "Air: 24 Hours", "Earth Paintings", and "Word Paintings" are included in the exhibition. An illustrated catalogue published by Parrish Art Museum, Southampton, New York, the show's organizer, is available. The exhibition will open at the Parrish on April 27, 2014 (exhibition page). ✭ An immersive sound experience "Higher Resonance" by Brooklyn-based Jennie C. Jones awaits visitors this summer and fall to the Hirshhorn Museum and Sculpture Garden, Washington, D.C. In addition to the soundscape, which combines snatches of recordings by African American classical composers and performance artists such as Alice Coltrane and Art Ensemble of Chicago, the Hirshhorn is presenting a selection of Jones's prints, paintings, and sculptures, all on view through October 27. 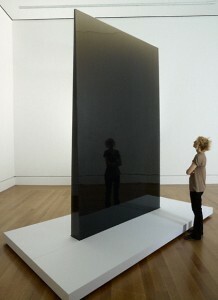 Jones is the recipient of the 2012 Joyce Wein Artist Prize from the Studio Museum in Harlem. ✭ Wexner Center for the Arts, The Ohio State University, continues through August 4 "Paul Sietsema". Included in the Los Angeles artist's major exhibition at the Wexner are five non-narrative films shot in 16mm, including the premiere of Sietsema's most recent, At the Hour of Tea (2013), and drawings, paintings, and other works on paper. The show, accompanied by a catalogue Paul Sietsema, will travel to Museum of Contemporary Art Chicago (exhibition page), where will it run from September 7 until January 5, 2014. In 2012, Kunsthalle Basel presented the first in-depth exhibition in Europe of Sietsema's recent work. Paul Sietsema from Matthew Marks Gallery on Vimeo. ✭ Boston's Museum of Fine Arts opens August 27 the important exhibition "She Who Tells a Story: Women Photographers from Iran and the Arab World". Scheduled to run through January 12, 2014, the exhibition of 100 images features work by 12 marvelous and pioneering photographers: Jananne Al-Ani, Boushra Almutawakel, Gohar Dashti, Rana El Nemr, Lalla Essaydi, Shadi Ghadirian, Tanya Habjouqa, Rula Halawani, Nermine Hammam, Rania Matar, Shirin Neshat, and Newsha Tavakolian. The images will be displayed in three sections: "Deconstructing Orientalism", "Constructing Identities", and "New Documentary". The works in "Black Prints", most of which were created within the last two to three years, came out of workshops and residencies with contemporary indigenous artists who collaborated with Kempson and his students. It is Kluge-Ruhe's — and our — good fortune that the prints are in Virginia. The prints on view are by artists Tess Allas, the show's curator; Graham 'Nudge' Blacklock, Gordon Hookey, Vernon Ah Kee, Roy Kennedy, Brett Nannup, Laurel Nannup, David Nolan, Frances Belle Parker, Reko Rennie, and Jason Wing. Some of the prints, all of which are beautifully made, are narrative-based; some relate stories of memory, identity and tradition; and some are wholly conceptual but uniquely Australian Aborignal. 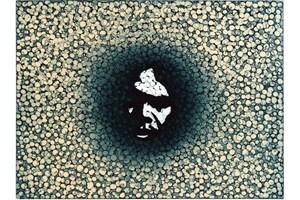 Brett Nannup's Self-Portrait (2012), an etching, is striking. It stands out because self-portraits by Australian Aboriginal artists are not common and because of its intensity; it rivets the viewer's attention. In the excellent handout accompanying the show, Nannup writes in his Artist Statement, "In Self-Portrait, I have used a silhouette image of myself as an emerging printmaker with a commitment to the exploration, as an Aboriginal man, of who I am and where I belong." Indeed, Nannup's face emerges strongly from the center of the print, the aura darkening against the background representing (to me) multitudes of possibilities; fittingly, we do not yet see the man or the artist as fully realized. Jason Wing takes on history with his Captain James Crook (2013). The attentive viewer cannot miss that "r" in the captain's name, nor its implications. Wing comments that it was Captain Cook who, in 1770 "sailed into Camay (Botany Bay). . . and promptly took 'possession' of the country on behalf of the Crown." The institution of a subsequent Intervention Policy, which exists still, caused hardships and left the the Aboriginal peoples "dispossessed of land, culture and family"; adds Wing, "nothing has changed in 224 years." Interestingly, Wing has mostly disguised Cook's face. I took this to show how we ignore what we find discomforting, and how history, especially the experience of colonialism, gets covered up and rewritten, becoming a false but acceptable narrative to those in power. Perhaps the most conceptual of the prints is Vernon Ah Kee's let's be polite about aboriginal art (2012). A play on positioned text (and, by extension, position in society, politics, etc. ), the image comprises five stacks of the same six words of the title against a black background; cleverly employed visually, the word "aboriginal", being the longest, exerts its claim to the space while bearing the burden of the words above it. Ah Kee, without need to elaborate, makes his point that in Australia, "Aboriginal art suffers under the weight of a kind of national politeness"; "a dearth of critique", he contends, leaves the art "mired in mediocrity". While the print is by no means mediocre in execution, its reductive image itself exemplifies Ah Kee's premise. Reko Rennie, a gifted interdisciplinary artist who integrates in his stencil work Aboriginal symbols and animals and flora native to Australia, addresses similar concerns with his aquatint Big Red (2013), who "stands confidently upright, defiantly staking his claim to space, power, land and culture." Big Red — the image is a kangaroo, perhaps the quintessential symbol of Australia, centered in a background of repeated geometric patterns — is a witty appropriation, reminding us that the habitat of this long-survived animal, the deserts, is also the home to the indigenous peoples, who, despite institutionalized efforts that marginalize and destroy, have never been eliminated, and refuse to go away. Like Big Red (Australia's largest native mammal), the indigenous are survivors. Tess Allas, in her metaphorical dogma (2011), a two-plate etching and aquatint, more subtly makes a political statement, in this case drawing on personal experience — a nun's response (a slap) to her failure, during Allas's first week of kindergarten, to "color in circles correctly" — to highlight, very broadly in Allas's words, "the mass control of a people by the systems installed, generating fear and conformity". Hers is a lovely print (the image is a color-filled sphere) that takes on darker meaning when viewed through the artist's own personal, cultural, and historical prism. That it was by the hands of a religious that Allas was cruelly treated adds one more nuanced layer of interpretation. Another etching that held my attention is Graham 'Nudge' Blacklock's etching and aquatint Gunya 3 (2012). The title references a place of dwelling, or "humpy", in this particular instance, Blacklock explains, the Taree/Port Macquarie area of New South Wales that belongs to the Biripi mob (tribe); it's his "grandmother's country". The image, says Blacklock, "depicts all the humpies scattered across the vast land." Cast from above, his vision of that land uncontained, so to speak, Blacklock manages to impart to this viewer a sense of exuberance and hopefulness. I am grateful for the Artists' Statements that accompany this exhibition. While the brochure is not necessary to appreciate the quality of the printmaking, the artists' own words help to inform viewer perspective on their approaches to subject matter. Going from a first view of the images and then to a reading of the artists' commentary impelled me to return for a second and third look at the prints. These are artists who understand how to speak through their art to reclaim the voices they do not or would not otherwise have. To paraphrase David Nolan, whose nostalgic and somewhat elegiac print is View from the Kitchen Window (2012), they force us to "stretch" our eyes so that we "in the outside world" can see the bigger picture that includes them. My husband and I also had an opportunity to see the excellent "Past Forward > > Contemporary Aboriginal Art", which concludes July 21 at Kluge-Ruhe, and the stellar experimental beds series of three-plate etchings by indigenous artist Judy Watson that are being shown through July 31 at the Harrison Institute on the main University of Virginia campus. In the former show are several terrific paintings by Watson. * The exhibition title, as the take-away brochure explains, is "a wordplay on the Australian childhood summer obsession of collecting cicada carcasses. 'Greengrocers' are the most common cicada and many of their carcasses can be traded for just one carcass of the rare and high prized 'Black Prince'." All artist quotes come from the exhibition brochure. Jason Wing was resident at Kluge-Ruhe in 2012. Information about his residency is here; also see this article. Reko Rennie, too, visited Kluge-Ruhe as an artist-in-residence. Information and a video about his work at the museum in 2011 is here. Judy Watson's Kluge-Ruhe residency is described here. Some work by Frances Belle Parker may be seen here. Also of interest is this video "Vernon Ah Kee Digital Story".